Southeast Community College uses the Regroup communication service to deliver messages to our faculty, staff, and students during emergencies and campus weather closings. 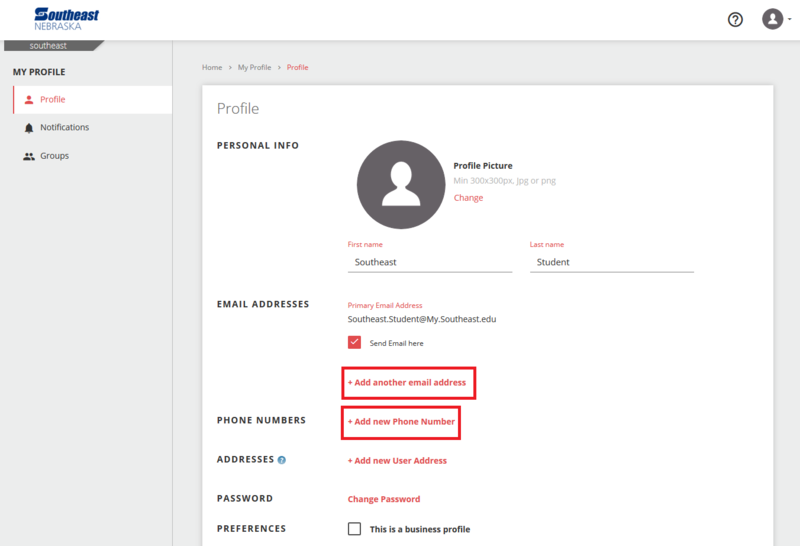 Notifications are sent to your My.Southeast.Edu e-mail. To receive text messages, or to add additional e-mail addresses, you must access your Regroup account. SCC uses notification groups to target students for emergency messages. As a student, you have been added to notification groups based on your primary location and class registration information. 2. Login using your SCC Hub credentials. 3. Your Southeast email will already be populated. 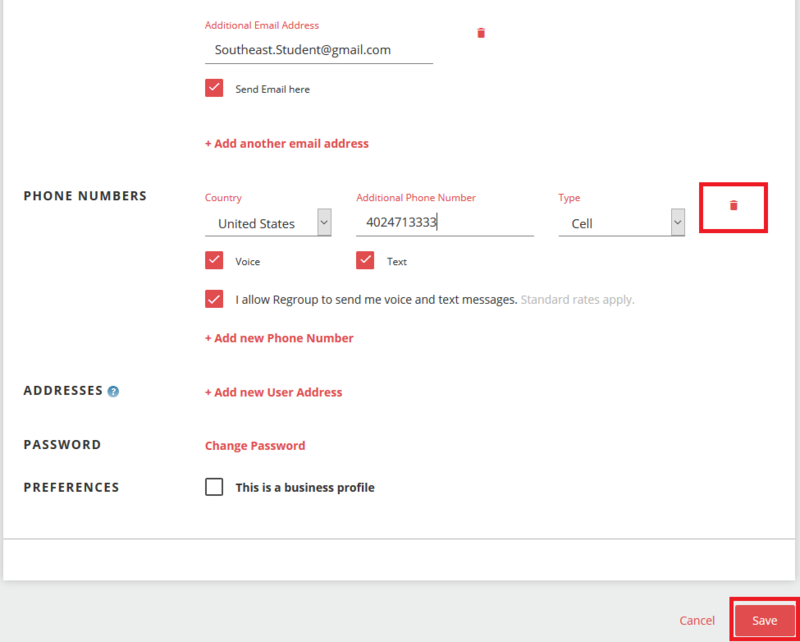 There are options to add additional emails or phone numbers. The Addresses section is not used. 5. You will receive a confirmation e-mail with a link to verify the changes. You will not receive notifications unless you confirm your e-mail. 6. There is a “Change Password” link in Regroup. Do not change your password in Regroup. Click the trash can icon next to the contact method you would like to delete. Click the “Save” button in the lower right hand corner.